Astragalus Root by Nature's Way always the same response in my body which is good. I like the vcaps option. Help boost the immune system. Gives me energy. 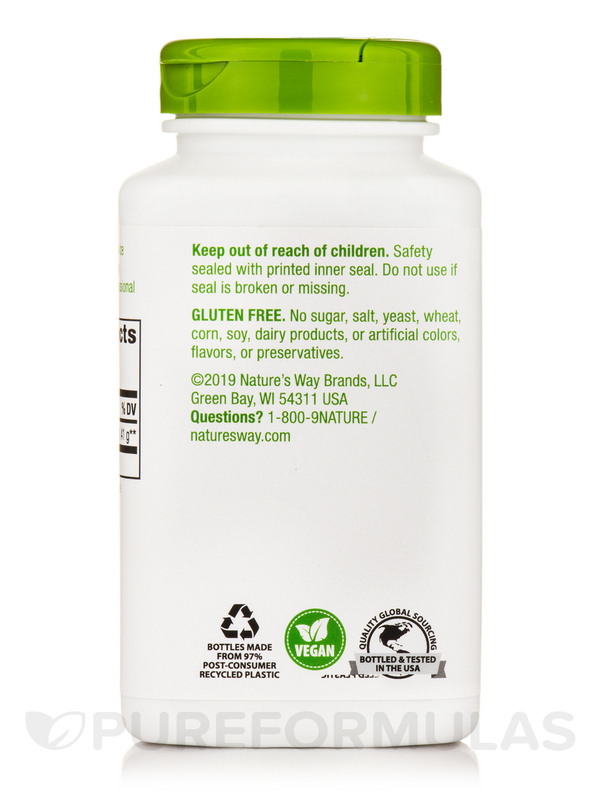 I would definitively recommend Astraglus Root by Nature's Way, and PureFormulas! I have only been on this a few months now but I do notice a difference. There's been a bug going around and every time I think I feel run down I double up on this and thankfully have not gotten sick. My immune system feels stronger! 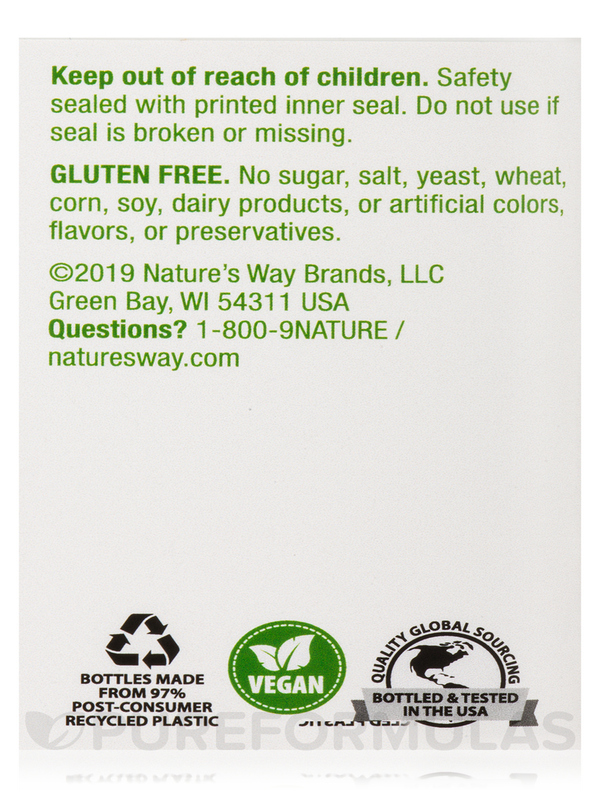 Other Ingredients: Plant-derived capsule‚ Cellulose. 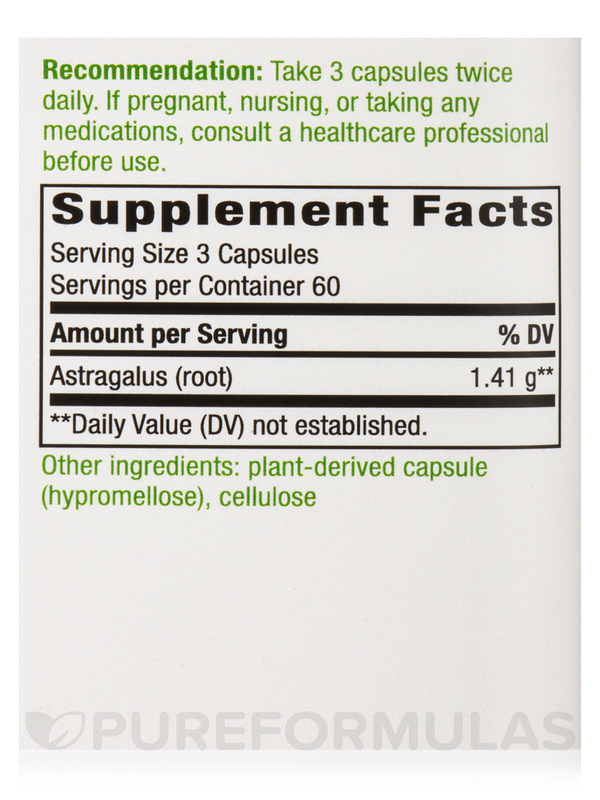 I've taken this astragalus root supplement for many years and really like it - clean ingredients in a veggie cap. 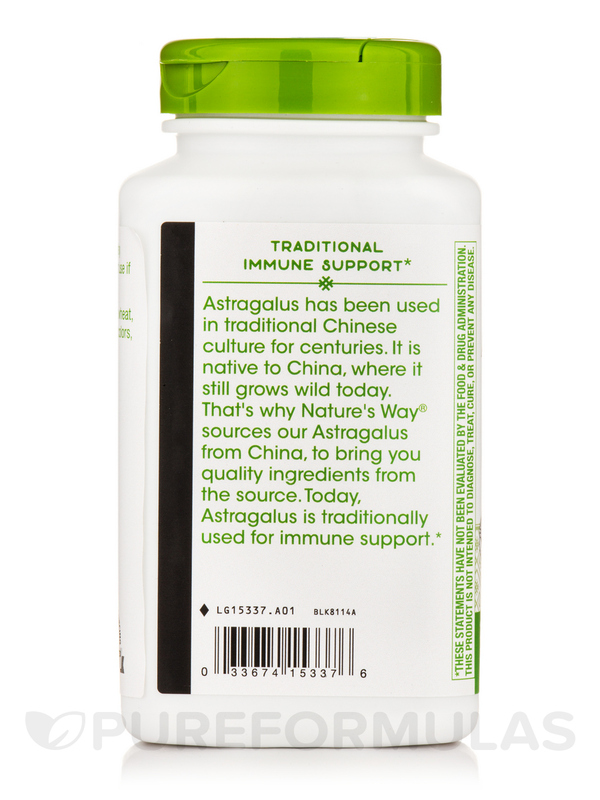 I haven't been sick in well over 10 years (I'm 70) and attribute that in part to healthy supplements including astragalus. Astragalus Root by Nature's Way has made a huge difference in adrenal gland failure. Get over your cold quickly! 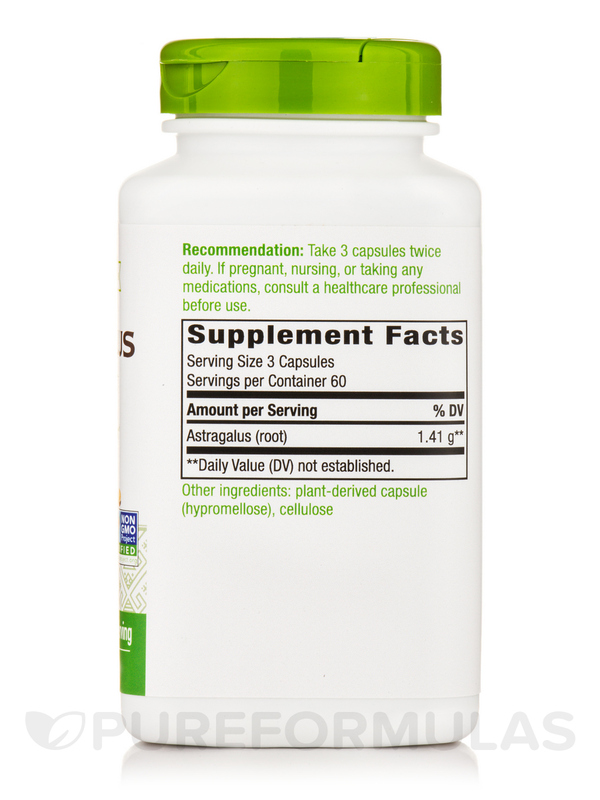 I work in a preschool classroom and need to have Astragalus Root by Natures Way on hand to combat the common cold symptoms that hit with each new school year! 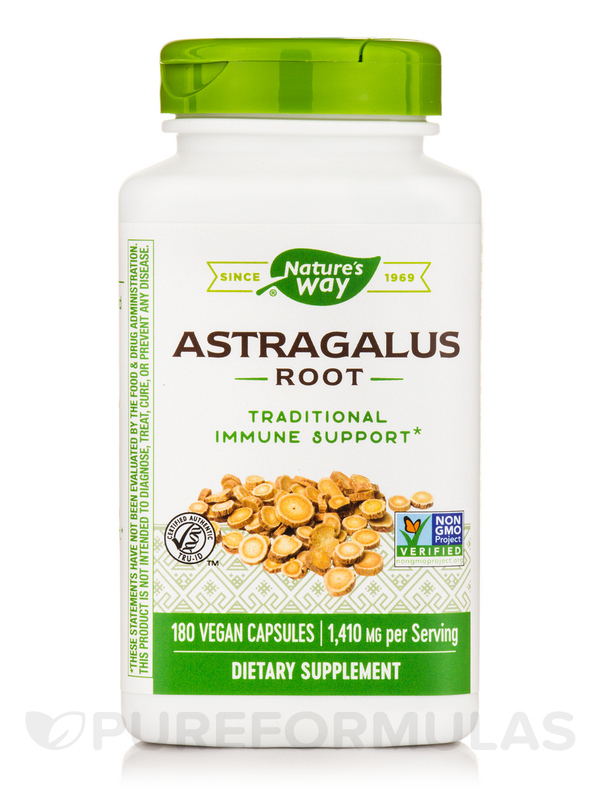 As soon as I feel the itchy throat or sniffles come on, I take two in the morning and evening and I feel much better and seem to get over my cold much quicker than others who do not take Astragalus!